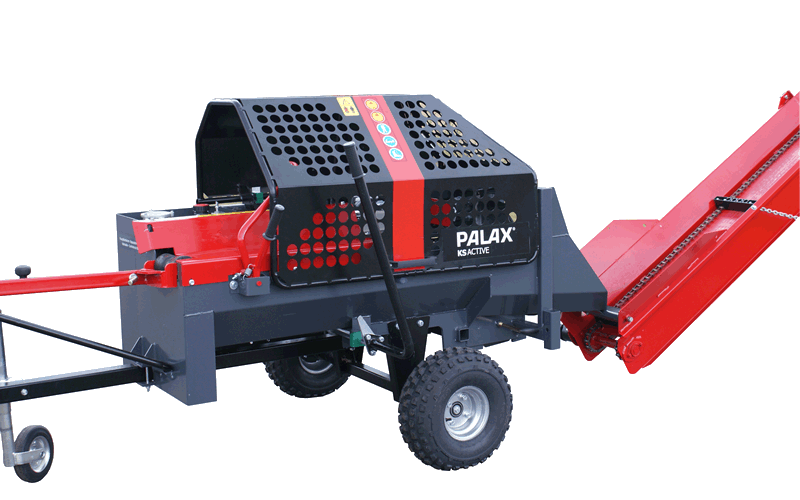 Hard-metal blade 550 mm / 21.65"
Maximum diameter of log: 20 cm / 7.9"
Hard metal blade 700 mm / 27.56"
Maximum diameter of log: 25 cm / 9.8"
Maximum diameter of log: 27 cm / 10.6"
Maximum diameter of log: 36 cm / 14 3/16"
Maximum diameter of log: 38 cm / 15"
Hard-metal blade 900 mm / 35.4"
Maximum diameter of log: 37 cm / 14.6"
Maximum diameter of log: 40 cm / 15.7"
Maximum diameter of log: 43 cm / 17"
Easy solution for lifting logs without a log table. 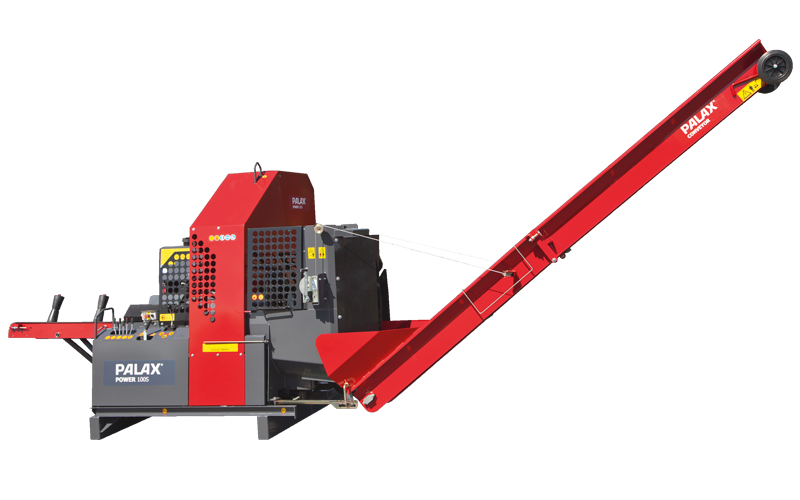 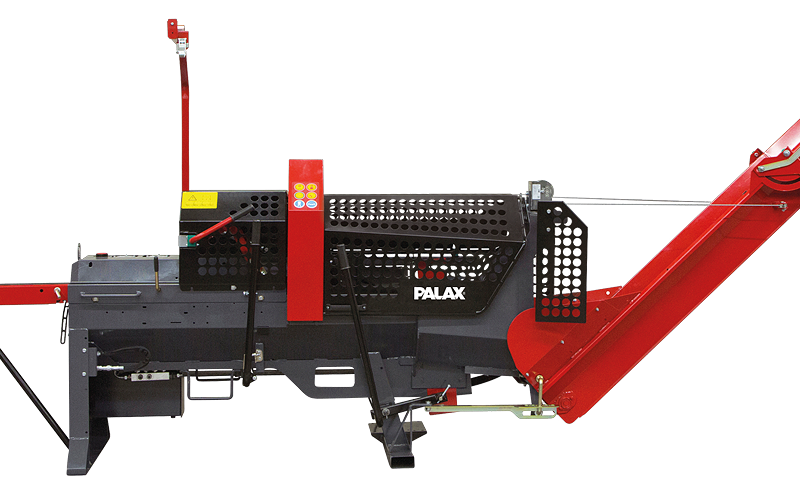 Fits most Palax firewood processors. 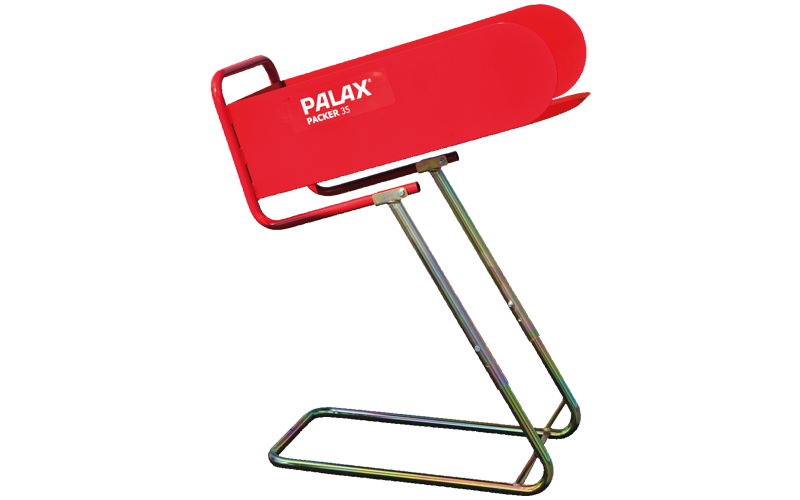 The Palax logtable is a perfect solution for handling logs. 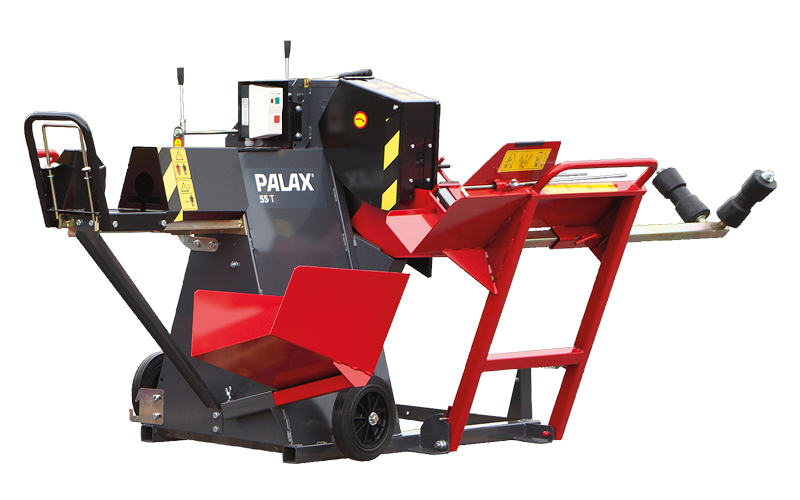 Fits most Palax firewood processors. 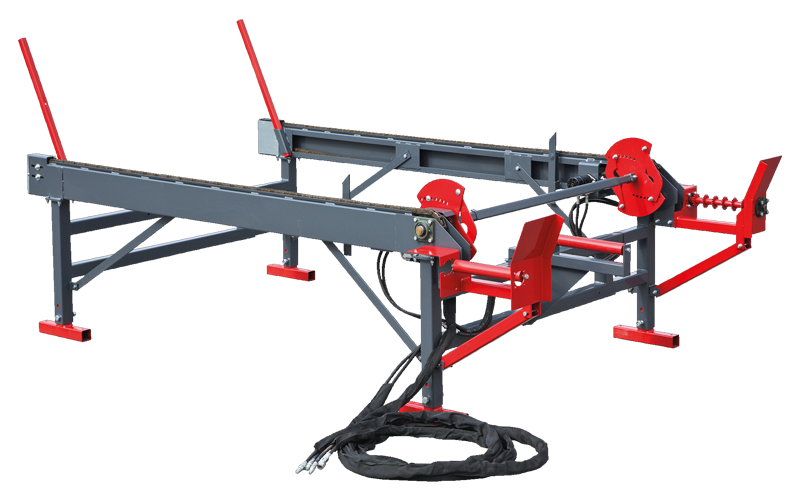 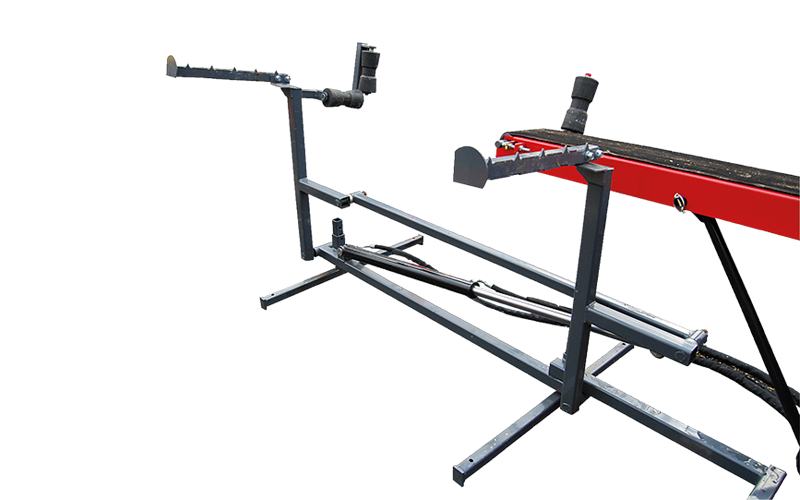 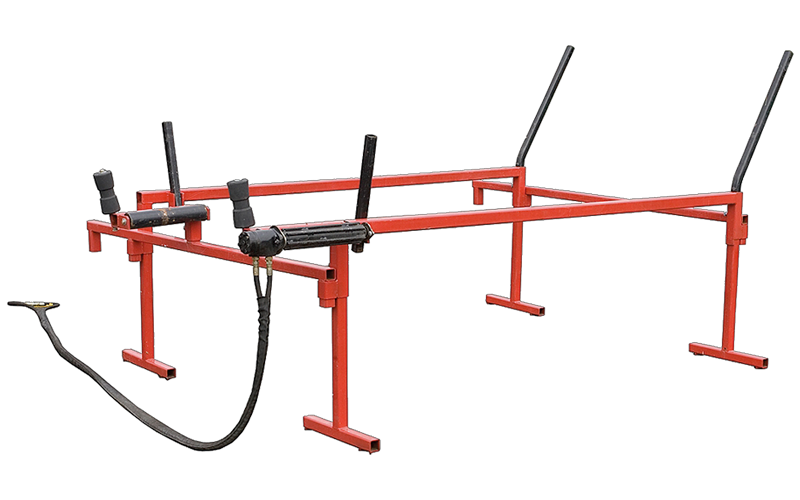 The Midi logtable is equipped with hydraulically operated chains and rotating log dispensers. 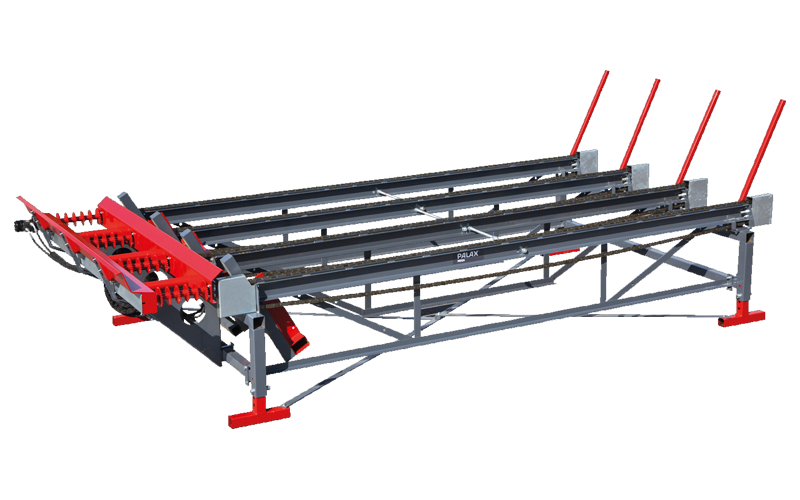 The live Mega logtable with a chain feed and step feeder. 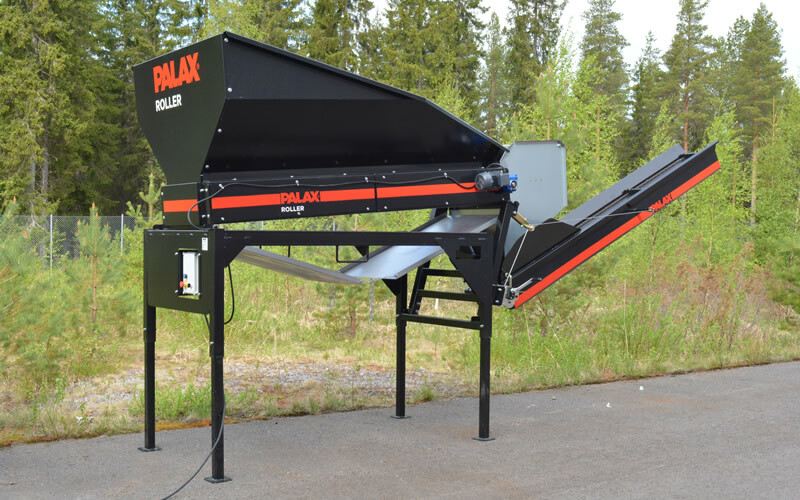 The packing solution for small firewood bags. 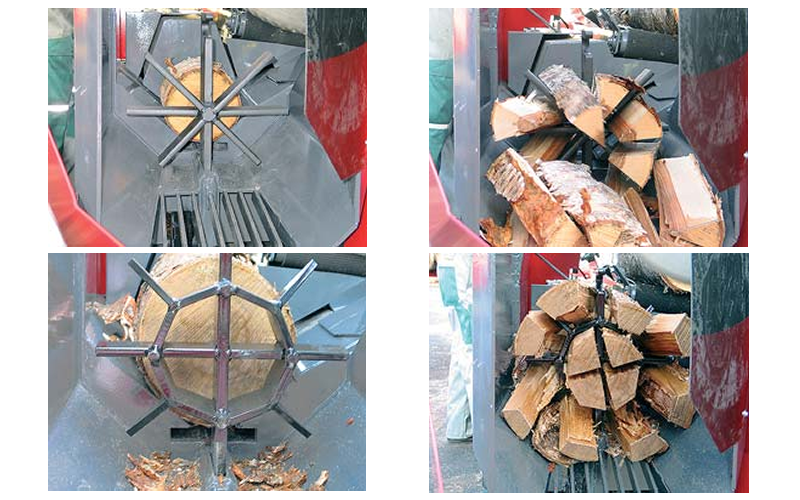 A quick way to bundle wood. 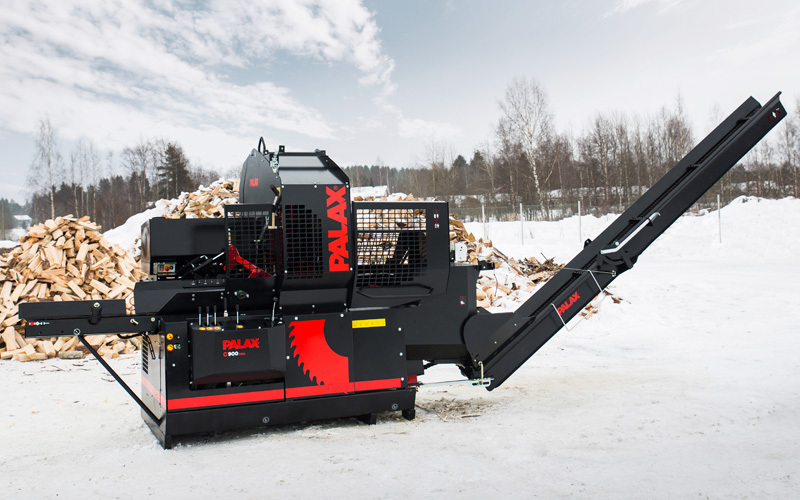 The packing solution for large firewood bags. 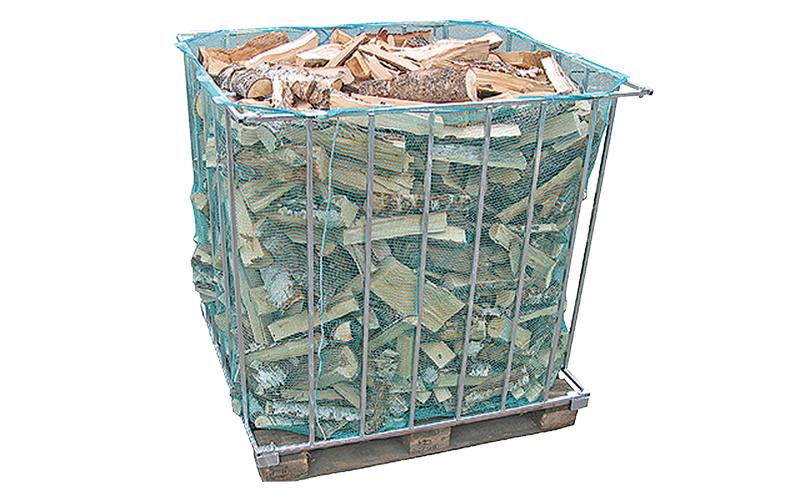 A good way to store firewood ready for delivery. 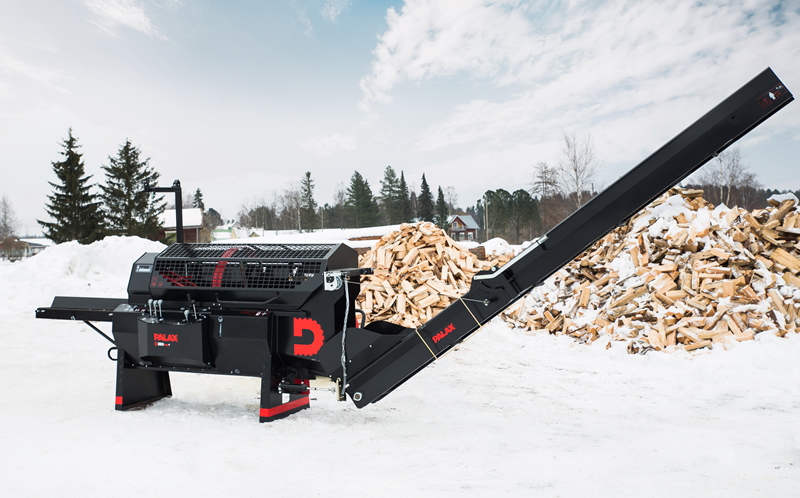 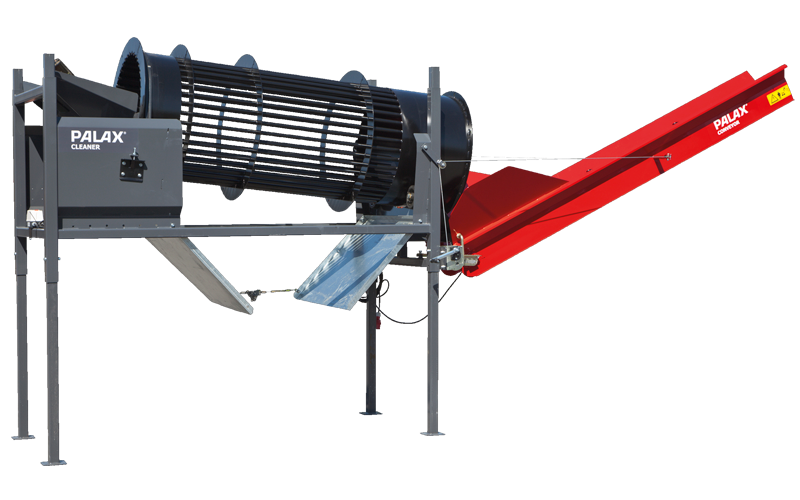 The debris cleaner tumbler removes dirt and excess bark for cleaner splitted logs. 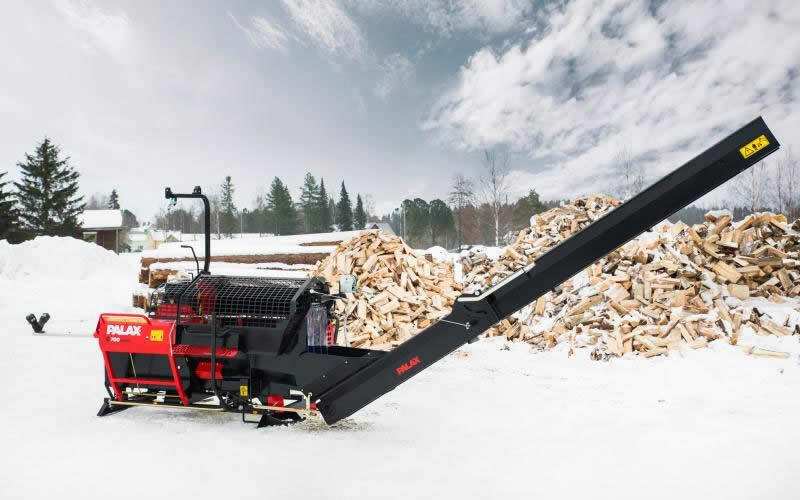 The debris cleaner roller removes dirt and excess bark for cleaner splitted logs. 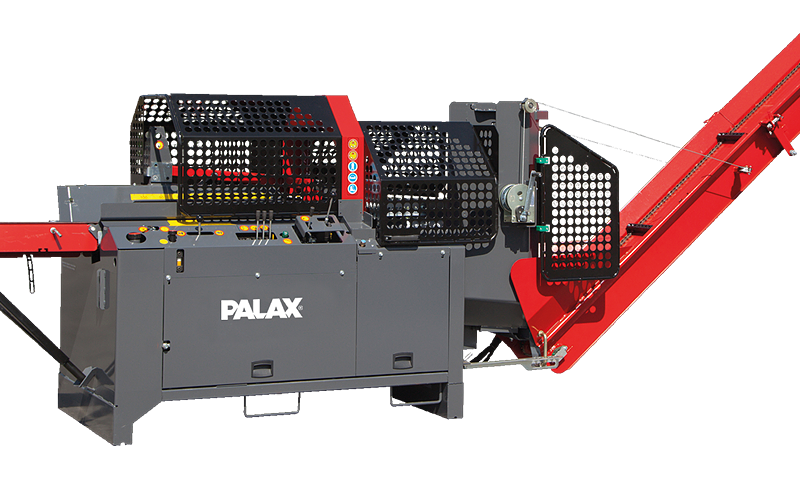 Palax offers many different axes from a 1-way to 12-way splitting depending on processor.